What is the most common sign of hypoglycemia? I bet most of you guessed A, but in reality the most common manifestation of a low blood sugar is nothing at all! Only when the hypoglycemia gets severe do we notice clinical signs of weakness. This drives home the need to run periodic blood glucose curves. Thirst is excessive when the blood glucose is too high, not when it is too low. The answer is all of the above! Insulin is a hormone made in the pancreas, the same organ that produces enzymes to help us break down fatty foods. When we give injections of insulin to a pet not making sufficient insulin, the duration of exogenous insulin varies from pet to pet. The lack of insulin is not absolute. Some pets may produce no insulin at all. 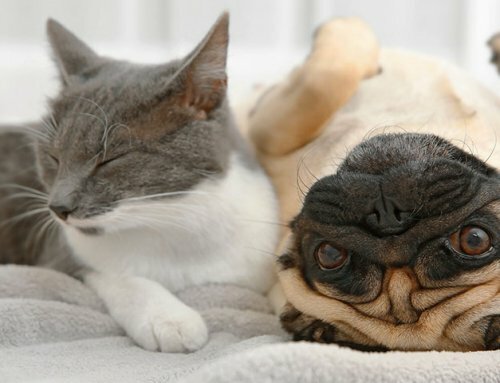 Some pets produce insulin but have factors that cause insulin resistance. 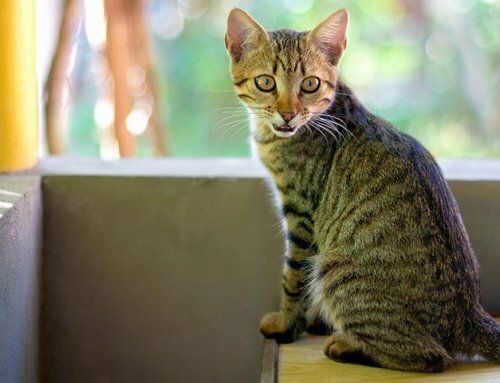 Some diabetic pets may produce some insulin but not enough to regulate the body’s sugar. Once again, we monitor blood glucose levels to see if the pet’s insulin needs change with time. Most pets require periodic tweaking of their insulin dose. 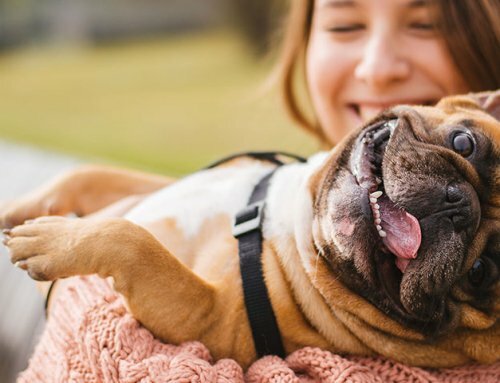 What should you do if your pet’s blood glucose is low? Yep, the correct answer is A. 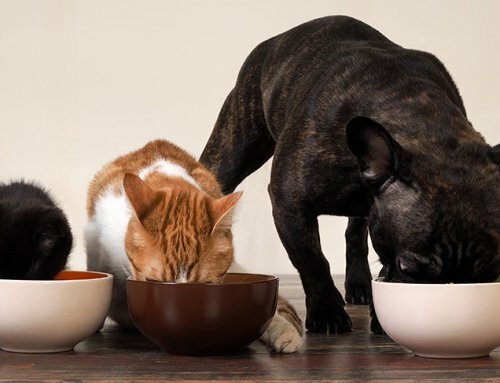 Put food in front of your pet and stick around! 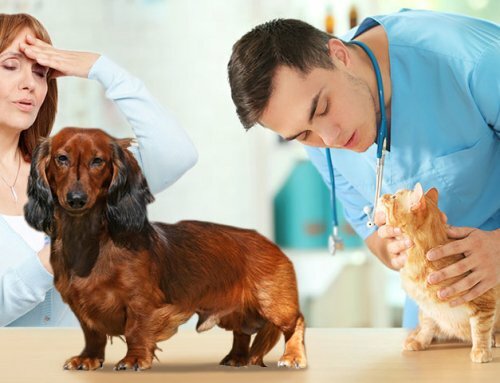 In fact, if the blood glucose doesn’t come up to the normal range you should consult your veterinarian or emergency clinic. If your diabetic pet is unconscious, smear some Karo syrup or honey on the gums and get to the vet ASAP. If the blood glucose is low the absolutely WORST thing you could do would be to give more insulin. 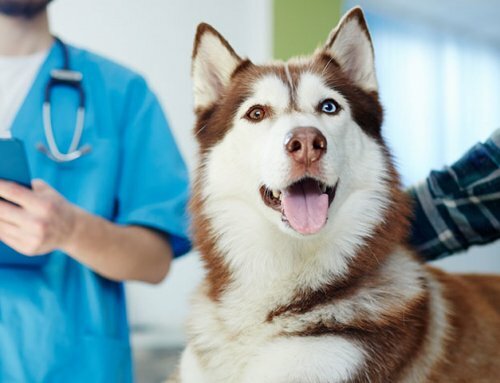 How often should you run a glucose curve on your diabetic pet? The answer is all of the above. If you change your pet’s insulin dose, give it a week to regulate before checking a curve. Don’t rush it! Let your pet get used to the new dose. Since insulin needs do change, it’s best to run a curve at least quarterly even if you think your diabetic pet is doing well. It’s best to be proactive! You can throw sharps (lancets and syringes) into the trash because they are used on pets instead of humans. False! I figured this would be a no-brainier, but a vet tech recently told me that her former vet boss used to just have clients toss the containers of sharps into their trash. Take the sharps containers to your veterinarian for proper disposal. The sharps are incinerated and there is no risk to waste management employees. If a garbage disposal employee gets poked with a needle (should a sharps container break apart), they won’t know it is from a pet. They would have to go through disease testing as if it was a needle stick from a human. There is usually a small fee for sharps disposal, but we should properly dispose of needles and lancets. You know I like hearing from our readers. Don’t hesitate to email me at joi.suttondvm@adwdiabetes.com.